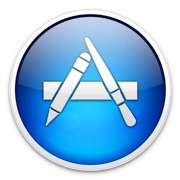 Additionally, several countries have seen App Store pricing change from U.S. dollars to local currencies. Apps in India are now being priced in Rupees, apps in Saudi Arabia are being priced in Saudi Riyals, and customers in the United Arab Emirates, Russia, Indonesia, Israel, Turkey, and South Africa are all seeing purchases listed in local currencies now. Who cares, its thinner and lighter. Guys, you do realise that Apple pays VAT on App Store sales, right? 0.89 is including 15% Luxembourg VAT. When you remove the VAT (0.89/1.15), it becomes 0.774, which according to XE.com is US$1.00127, which is about 1¢ more than the US App Store price of 99¢. It seems Apple was just bringing the price brackets it in line with VAT and current exchange rates to be about equal with US prices. They did this a while back in the UK. Apple are changing more and more everyday, not for the better. The lowest tier is now EUR0.89, up from $0.89.